Once upon a time, as some of you may know, I decided to open up a bakery and spent tons of time, energy and money on it. And it was so much fun. And then it wasn’t. Kenny and I looked at the bakery and looked at our family and realized that the bakery was not doing what we wanted it to for our lives, our family and our future, so we shut it down. It was difficult to come to the decision and it was painful to admit defeat and close doors; BUT- silver lining!! I can now release recipes that I slaved over to all of you! My failure is your gain! We had snickerdoodles in the bakery, and they were good. However, they were not the best, just good enough. Before I opened my bakery, I worked at another bakery and their snickerdoodles were the very best. I never managed to “borrow” their recipe, but I did get a chance to glance at it and what I noticed was that this recipe utilized whole wheat flour as well as all purpose. So I tested recipe after recipe, varying everything possible, until victory!! 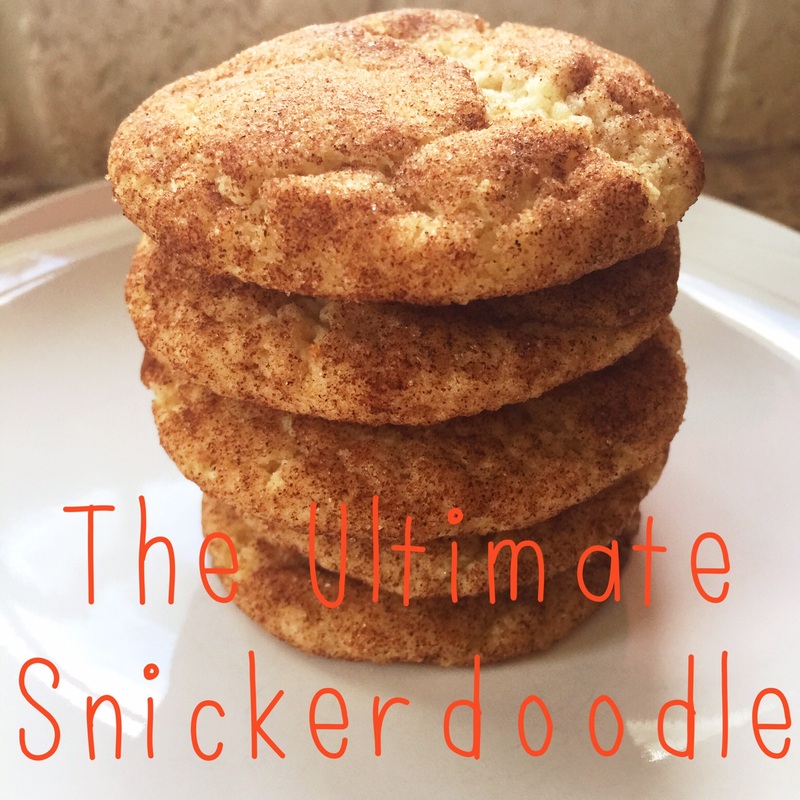 The ultimate snickerdoodle is upon us. This cookie has crisp edges, a delightfully chewy texture, a hint of tang, and is lightly sweetened with plenty of cinnamon. I hope you enjoy it as much as I did! I am a big believer in weighing my ingredients (I find that it creates a more consistent recipe and uses less dishes, win win) however cup sizes are listed as well. Also, I’m so sorry, this recipe does two things that irk me, melting butter and not using an exact cube, I know its’s annoying, but again, ultimate cookie! Mix the dry ingredients into the wet. The dough will be soft and lightly hold shape. Let dough chill in fridge while oven heats up. Edges will start to firm up, but the centers will very much not be set. Let cookies cool on cookie sheets. These cookies go from ready to overcooked super fast, so seriously watch them towards the end. *Cinnamon/sugar Mixture: 1/3 cup sugar 1/4 cup scant cinnamon. Taste -test this, if you want it sweeter, add more sugar.